Welcome to Patagonia Munich! 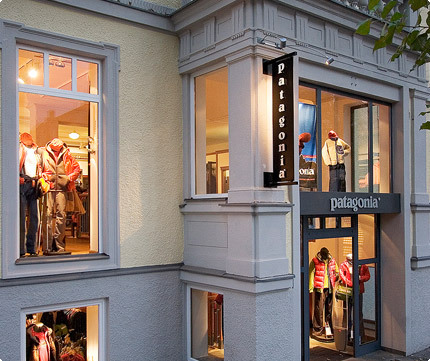 Our store is located in the Schwabing district in the north of Munich. A few minutes away is the "Englischer Garten," Munich's green park oasis. Come take advantage of the information and expertise offered by our highly motivated and friendly staff. We'll see you in the heart of Bavaria! Our store is located in the Schwabing district of Munich at 47 Leopoldstrasse close to the Underground (U-bahn) station "Munchner Freiheit" (on lines U3 and U6). We recommend using public transport as free parking near the store can be challenging to find.